Although I have been a member of Monkstown since 1960, I have not been too much in evidence around the club in recent years, as I was representing Monkstown in another forum as a Leinster Branch Referee and subsequently as a Referee Assessor. 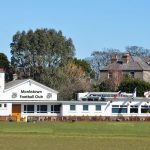 In recent years, being one of a small group that appoints assessors, I regularly took the opportunity to assign to myself the referee of Monkstown’s matches both home and away, and thus saw many of Monkstown’s games over recent seasons. I would like to thank all of our fans and supporters who regularly occupy ‘the bank’ at Sydney Parade and indeed, turn up in the far flung clubs of the province to make their presence felt and to show their support. I understand that this vociferous support is greatly important to, and appreciated by our teams. challenge for our club, in which the same small handful of members shoulder most of the workload. I would therefore appeal to all members, both active and retired players to lend whatever assistance they can to our committee and other working groups. Believe me, there is always some job that you can perform and they are not all very time consuming. We are of course very grateful to our current committee and workers and to our bar, catering staff, and ground staff for their dedicated input. In this respect I was delighted with the decision of the club at our AGM and during the past season to assign the rank of Life Membership to three of the hardest working volunteers ever to grace the membership list of Monkstown FC. is greatly in your debt. At one stage during my time representing Monkstown as an active referee, Monkstown boasted seven Branch match officials. Currently Monkstown are the only established club in Leinster with no active referee. This is something we urgently need to rectify. To our senior team, their Captain, Michael McLoughlin and coach David ‘Manners’ Mahon I wish a safe, enjoyable, successful and fulfilling season. I, of course, extend these wishes to all our teams, captains and coaches, and look forward to getting to know you all better through the season. I would like to take this opportunity to thank all our sponsors. Your support is greatly appreciated. their famous club this season. partake and enjoy our post-match clubhouse hospitality.